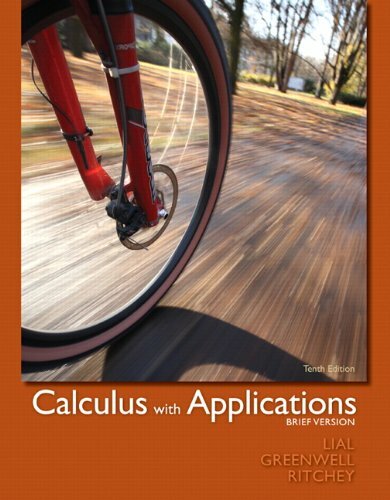 Calculus with Applications, Tenth Edition(also available in a Brief Versioncontaining Chapters 1 ;9) by Lial, Greenwell, and Ritchey, is our most applied text to date, making the math relevant and accessible for students of business, life science, and social sciences. Current applications, many using real data, are incorporated in numerous forms throughout the book, preparing students for success in their professional careers. With this edition, students will find new ways to get involved with the material, such as ;Your Turn ; exercises and ;Apply It ; vignettes that encourage active participation.